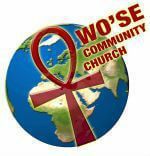 Maat is the basis of Wo'se Community Church's theology. 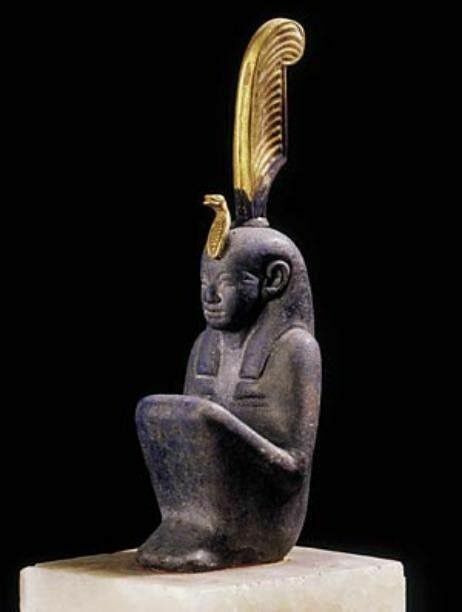 Maat is the totality of all existence. 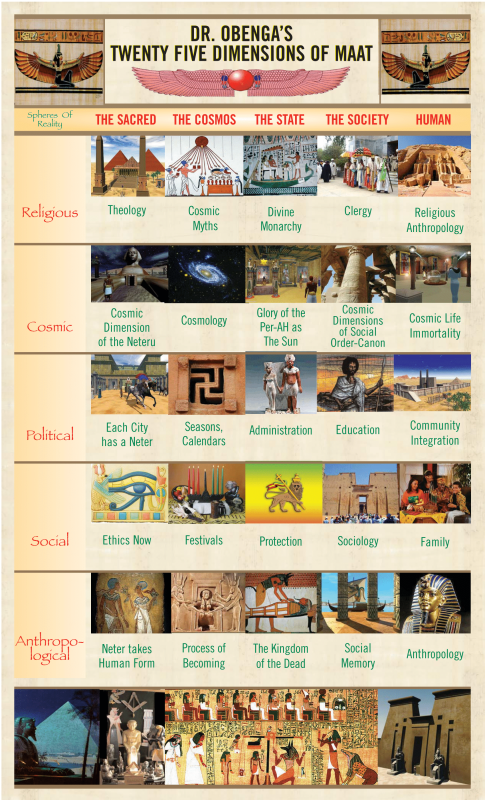 (Please see Dr. O'Benga's 25 dimensions of Maat chart below). In the Individual Maat manifests itself as Truth. 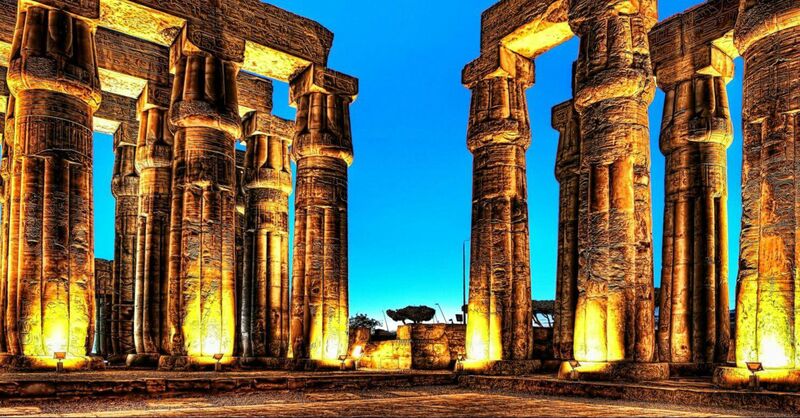 In Society Maat manifests itself as Justice and is against injustice. 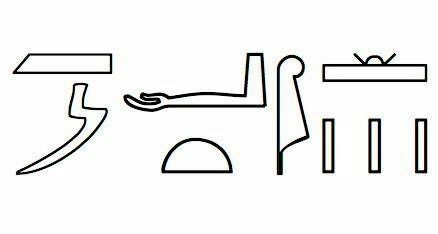 Maat manifests itself in nature as the normalcy of phenomenon, i.e. The seasonal cyclical changes. The Sun rising and setting and the Moon's 28,29 day cycle etc. 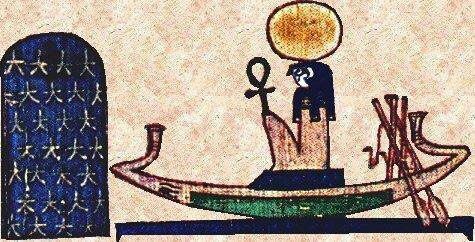 Ra A NTR Which Represents The Sun Seen Sailing Through The Sky Seat On A Glyph Of Maat. Symbolizing The Precise Regularity Of The Movements Of The Sun. 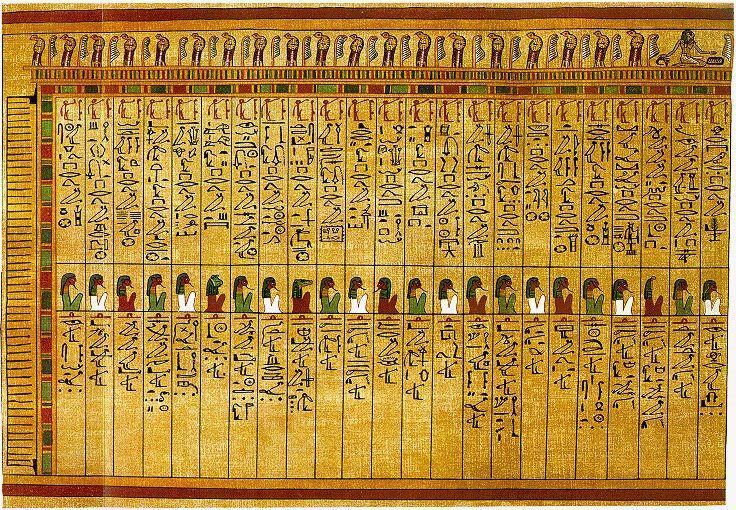 The Kemetic Judgement Scene Where The Deceased Ani Has His Heart Weighed On The Feather Of Truth Which Is A Symbol For Maat. As His Heart Is Weighed He Recites The 42 Declarations Of Innocence. From The Book Of The Coming Forth By Day Chapter 125 Written In Medu NTR The Declarations Of Innocence.